Contact our law firm if you need help. Our deepest sympathies to you and your family. It is hard enough to lose a husband, but when it was because a truck driver was driving illegally or carelessly, it adds an enormous amount of pain. holding every person and company responsible for the crash accountable for your husband’s tragic wrongful death. Use the form below to contact our law firm and ask for a free consultation. One of our lawyers will contact you, sometimes within minutes. You will not be obligated to hire our law firm to represent you. Attorneys Fred Pritzker and Eric Hageman recently helped a family win $6 million in a wrongful death lawsuit. If your husband was killed by a driver, you and your family may have the right to sue for compensation, money the family can use to stay afloat financially. These wrongful death lawsuits against a semi-truck driver and company are about more than money. Our lawyers dig for the truth and give the family a sense that justice is being done. Cases like yours are litigated under state wrongful death laws. Any money won in a settlement or verdict will be shared by family members, with the bulk going to you, the wife. We know you don’t care about money right now, but you should not have to bear the full financial loss, and you should be compensated for losing the companionship of the man you loved. There are many law firms that advertise for truck accident cases, but not all of them have handled these cases. We have. Cases against commercial truck drivers and trucking companies are not the same as other traffic accident cases. There are numerous federal regulations involved and the evidence needs to make a case against the trucking company, not just the truck driver. It takes experience to get a good settlement or verdict. We know you have a lot of questions. You can click here now if you want a free consultation with one of our lawyers, or you can call 1-888-377-8900. There is no obligation, and, if you hire our law firm, we are not paid unless you win. 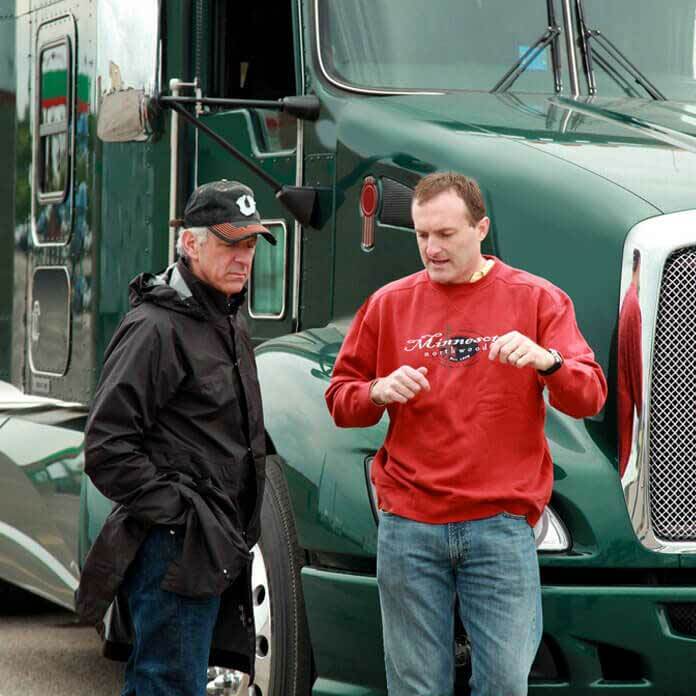 We have handled many lawsuits against trucking companies and won many multimillion-dollar settlements and verdicts. The goal in any trucking case is to show that the driver and the trucking company simply didn’t follow safety rules. allowing the driver to violate the federal hours-of-service regulations, which limit the number of hours a driver can be on the road. There have been cases where the company encouraged the driver to violate the hours-of-service regulations and/or destroy the logbook. In these cases, there would be a punitive damages claim, which are claims that can seek substantial amounts of money to punish the bad behavior. inadequate truck inspection prior to driving (trailer hitched wrong, obvious problem not seen). driving with a medical condition that makes it unsafe to driver.